If you missed your resolution this year, so did I. Resolutions mean you’re waiting on fixing something you could change right now. My thought is always if you can make an impact in the present, why wouldn’t you. Why would you pace yourself if you thought you weren’t going to make it, why wouldn’t you work as hard as you possibly could and see how far you could get. 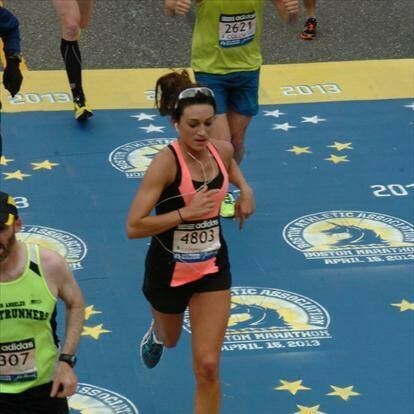 A few years ago, I was training for the Boston marathon and my friend asked me how I pace myself. I laughed at the idea because I have no level of pace in my life. I go 100 miles an hour until I crash hard, fail hard or ultimately succeed. Life is really fast to be waiting. I have found that this high-risk method of living — while dangerous at times — can bring you immaculate outcomes. Sometimes, or most times in my case, if you go all chips into something you destined to make it work. It’s a desperate passion of sorts. If you are setting a resolution, good for you, it means you are recognizing something needs to change. What I would say is don’t wait until the next year, the next week, or the next Monday to start. You only get one shot at this lifetime. I’m going at it all in, with no regrets everyday. Don’t be afraid of working so hard you fail from exhaustion or you lose because it didn’t go your way. The real win is work and the effort you put in to accomplish something you really want. If you’re waiting on a balance or good timing, it’s not coming. Making a positive impact on your life is a daily opportunity we all have, not a just a resolution you made because it was trending during the New Year.